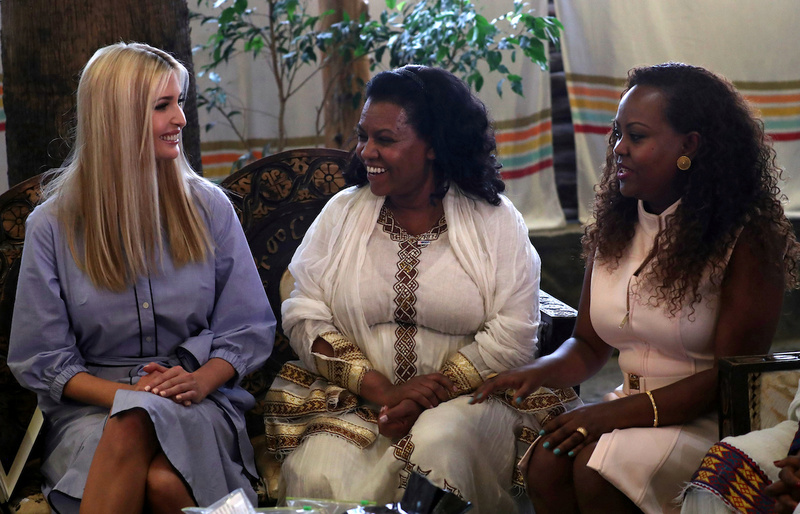 Ivanka Trump truly shined Sunday when she stepped out in a beautiful blue dress during her trip to Africa. 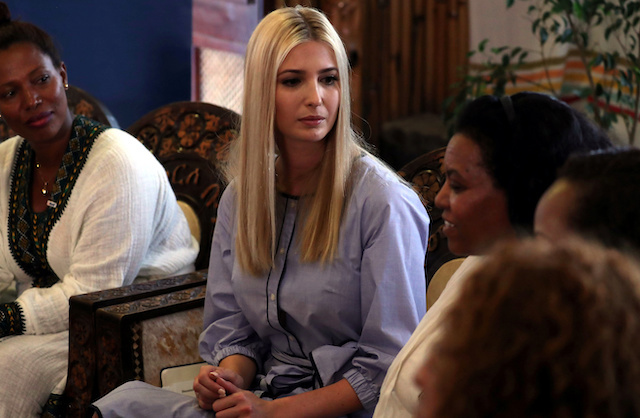 Lucky for us, the first daughter has since shared a handful of pictures from the day’s events. 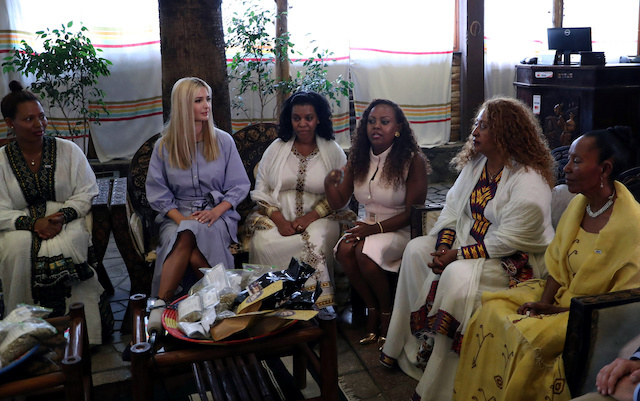 “Joined @USAIDMarkGreen and the Ethiopian Women in Coffee Association (EWIC) for a great discussion (and coffee cupping!) 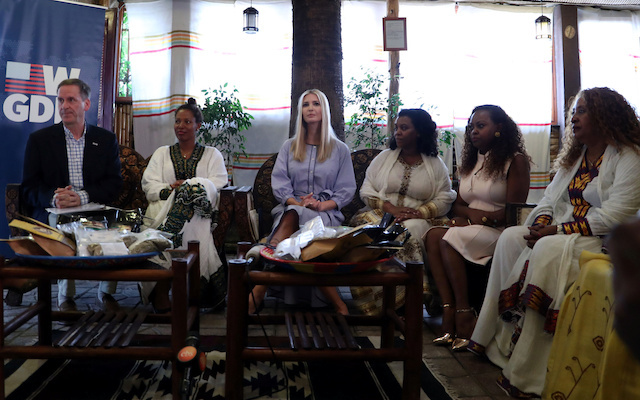 with inspiring female entrepreneurs. With @USAID support, they are overcoming a lack of access to capital and growing their businesses. #WGDP,” Trump tweeted. 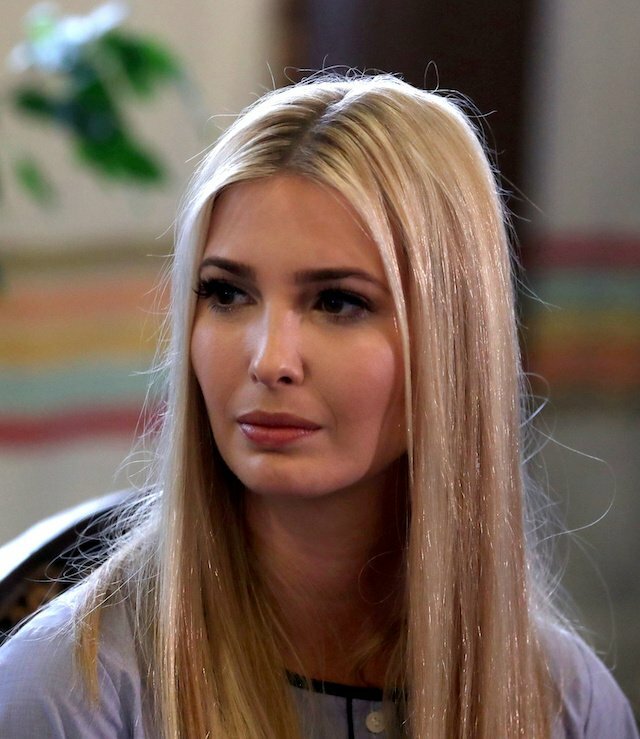 The first daughter always looks terrific no matter what the occasion. Check out some of those unforgettable looks here.